Michael E. Judkins is a 1987 graduate of the University of Wisconsin-Madison, with a Bachelor of Science degree in Geology and Geophysics. Following school he spent nine years with Layne Christensen in the water well, environmental and mining industries. He then joined Municipal Well & Pump in 1995 and continued as a project engineer until October 2000. Mike is General Manager of Water Well Solutions Service Group, Inc.
President – Sportsman’s Raffle, Ltd.
Mark W. Thurow attended the University of Wisconsin-Barron, studying telecommunications. He joined Layne Christensen in 1986 as a pump installer/drilling assistant, continued as a project engineer in the water well, environmental and water treatment industries until 1996. At this time Mark joined Municipal Well & Pump and continued as a project engineer until October 2000. Mark is the Operations Manager - WI Division of Water Well Solutions Service Group, Inc.
Jeffrey P. Gibson is a graduate of the University of Illinois, Champaign-Urbana with a Bachelor of Science degree in Civil Engineering. Jeff spent 29 years with the Layne Organization working on ground water exploration, development, design/construction, pumping systems & control design, installation and servicing, well development & rehabilitation, & water treatment design, installation and repairs. Jeff has worked in the municipal, industrial, agricultural, commercial, mining, irrigation & development markets throughout his career. Peter Bennin joined the company in June of 2006 as a project manager. Peter has worked as both a field service technician and a project manager with Municipal Well and Pump for the last 13 years. He has extensive experience with both line shaft and submersible turbine pumps. In addition, Peter is a State of Wisconsin certified water operator and a licensed pump installer. He is a factory authorized start-up technician for ABB ACS 550 Variable Frequency Drives and has experience troubleshooting and repairing all types of electrical control equipment. He has successfully completed both the OSHA 40 hour hazardous waste operations training course and the permit required confined spaces training course. Chris Zeeb joined our team in March of 2017. Chris has more than 20 years in the water supply industry, including 12 years with Layne Christensen in Michigan where he started as a field operator and advanced to Branch Manager. Chris started in the water industry as a wholesale supplier, focused on turbine pump design and pump controls both electric and hydraulic. Chris has extensive experience in submersible and line shaft turbine pump design and installation, and is especially well versed in well rehabilitation techniques. Mike Nailor is our Illinois Division Field Operations Manager with more than 15 years experience at Meadow Equipment Sales & Service, Inc. Mike is also tasked as a site safety manager to ensure safe working conditions on the jobsite. 23 years serving the industry. Mike is well versed in Mud Rotary/air rotary Drilling, Pump Installation, Electrical Troubleshooting, VFD Programming, System Design, and Machining. Dave Grutzik is a 1982 graduate of Iowa State University with a Bachelor of Science degree in Civil Engineering and holds a Professional Engineer certification. From 1984 to 1990, Dave worked as the Director of Public Works in Weston, WI. From 1990 to 1996 Dave was the branch manager for Layne Northwest. From 1996 to 2004, Dave became an owner/partner of Civil Professional Consultants (CPC), a consulting engineering company. In 2004, CPC successfully merged with Central Wisconsin Engineering (CWE), which is also a consulting engineering company. Dave joined Water Well Solutions in the spring of 2013 as a senior project engineer. Ahmad T. Hamdan, E.I.T. is a graduate of the University of Illinois, Urbana-Champaign with a Bachelor of Science degree in Chemical Engineering. Ahmad spent 2 years with the Layne Christensen Company working on well design, construction, pumping systems design, installation and servicing, well development & rehabilitation, installation and repairs. Ahmad has worked in the municipal, industrial, agricultural markets thus far. 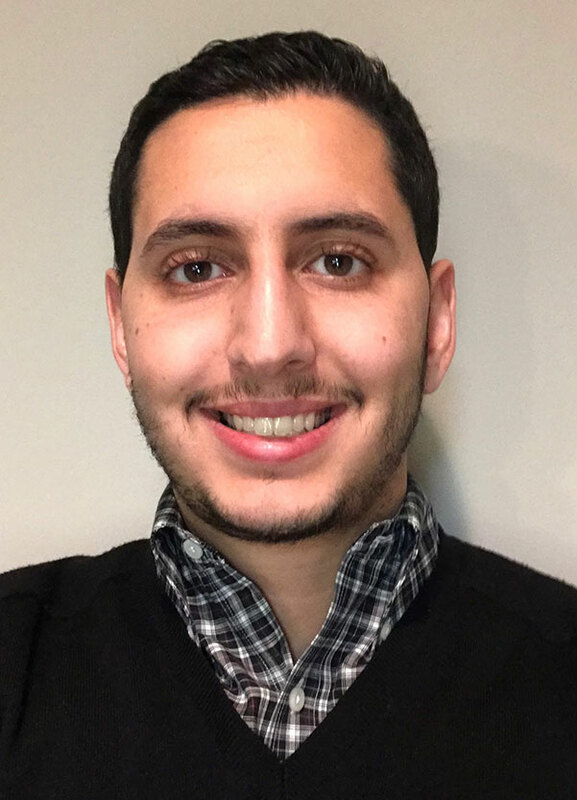 Ahmad is a registered Licensed Professional Engineering Intern in the State of Illinois. Ahmad is currently a Project Manager for Suez, Water Well Solutions in Illinois. Shannon McMahon is a graduate of Michigan State with a Bachelor of Science degree in Biosystems Engineering. Shannon spent 7 years with Xylem (Goulds) working with technical sales of pump stations as a Municipal Sales Engineer. Shannon has extensive experience designing pumping equipment, application, service and installation.